As much as I’d love summer to go on and on and on and on , autumn has its own sense of charm and perks I’m looking forward to enjoying. 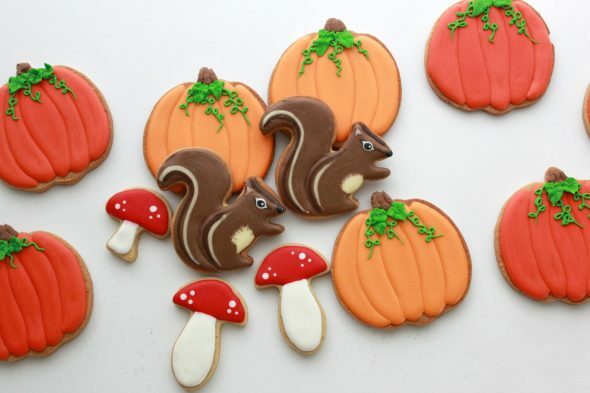 Among those are fall themed sweets like these pumpkin spice squirrel, mushroom and pumpkin cookies. 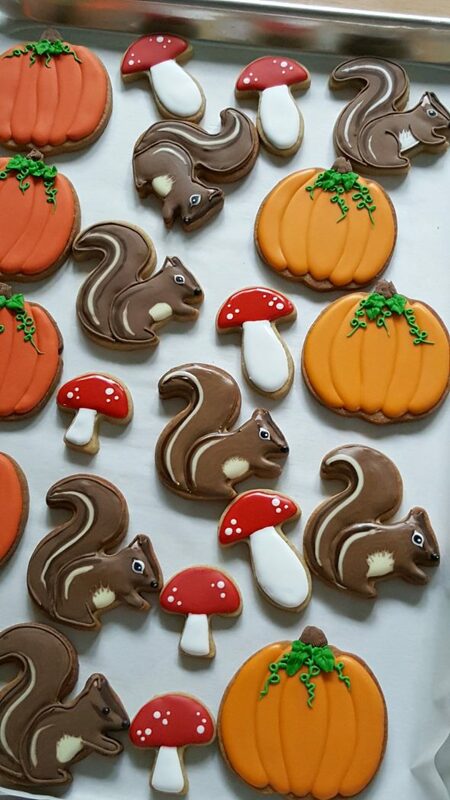 I’ll start off with the squirrel video today, and the pumpkin and mushroom videos are coming soon. 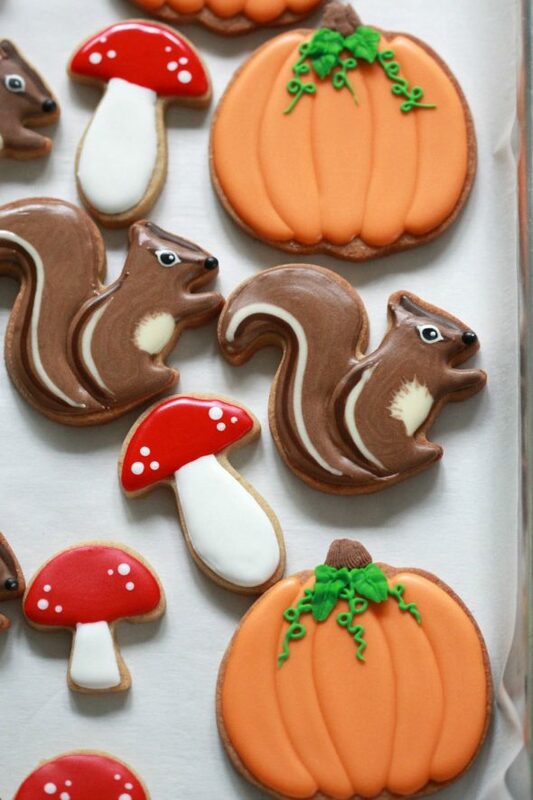 What fall treats are you thinking of making? These are pumpkin spice cut-out cookies; you can find the recipe here. 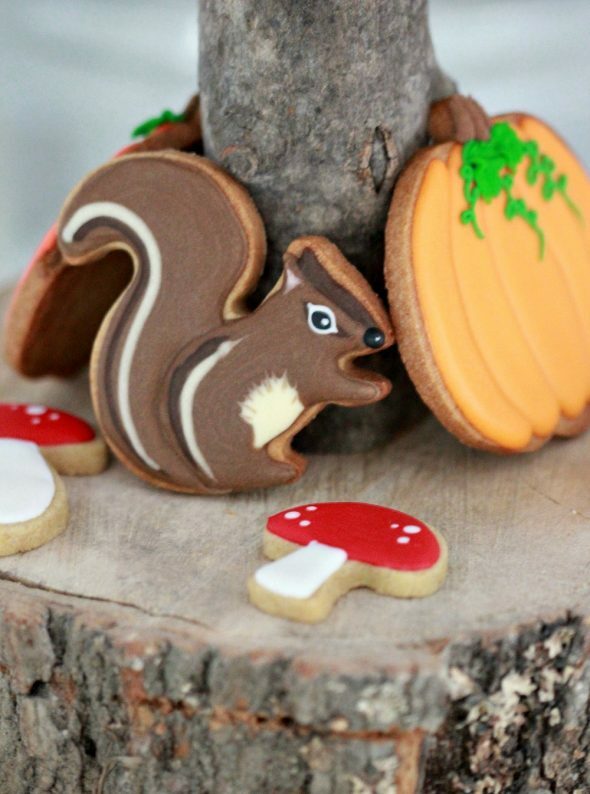 There are other cut-out cookie recipes here. The design and cookie cutter is by American Sweets, and can be found in How Sweet is That? ‘s shop here. By the way, to me the design looks like a chipmunk, but the cutter can be used for either a squirrel or chipmunk. If you’d like a video tutorial on the pumpkin cookie, click here. Marian these are sooo cute!! I’m very happy you’re back posting! I always love all the details you have! Have a nice weekend! 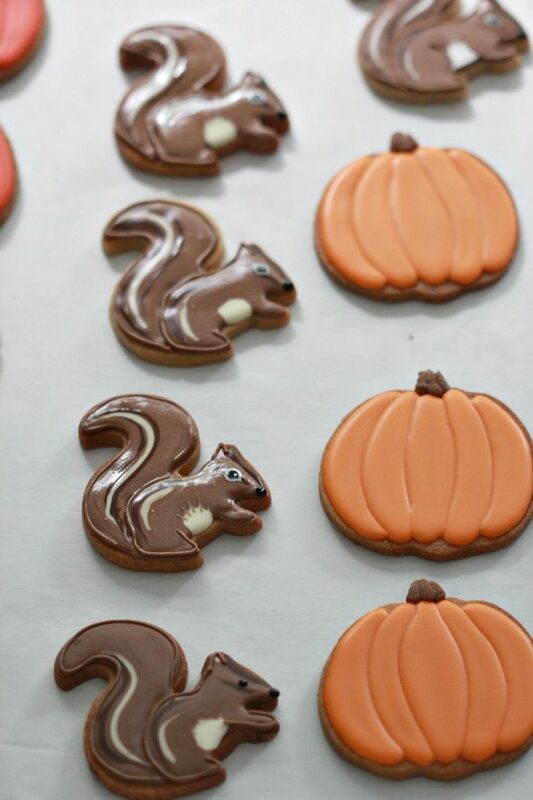 Hi Marian,cutest squirrels! The pumpkin looks real. And the mushrooms like in the fairytales. 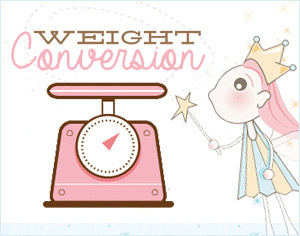 … cute though! 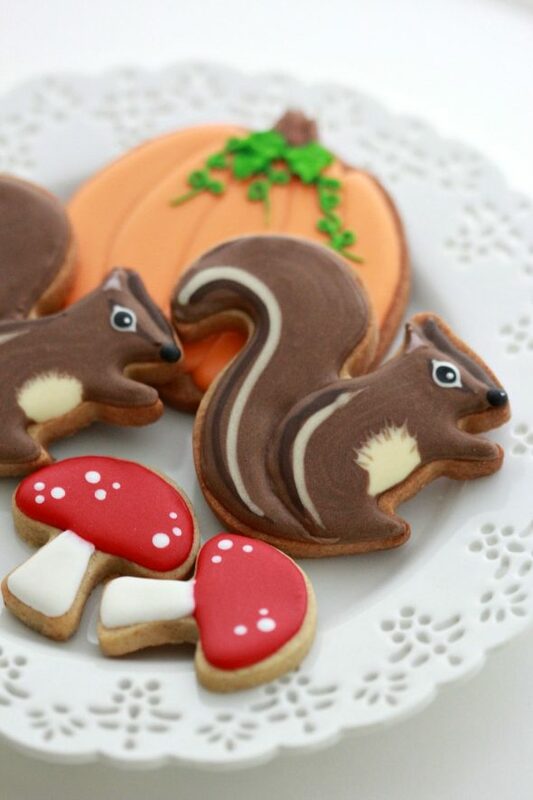 These are the most adorable squirrels I’ve ever seen!!! You did such a great job decorating them!!! And the cutter itself is such a beautiful shape! I was looking for a squirrel cutter for some time but in my country there in no nice squirrel cutters available 🙁 (only two or three shapes but I like neither of them). Probably this one is not available in my country either but just to be sure, can you, please, tell me what’s the brand of it and/or where have you bought it? 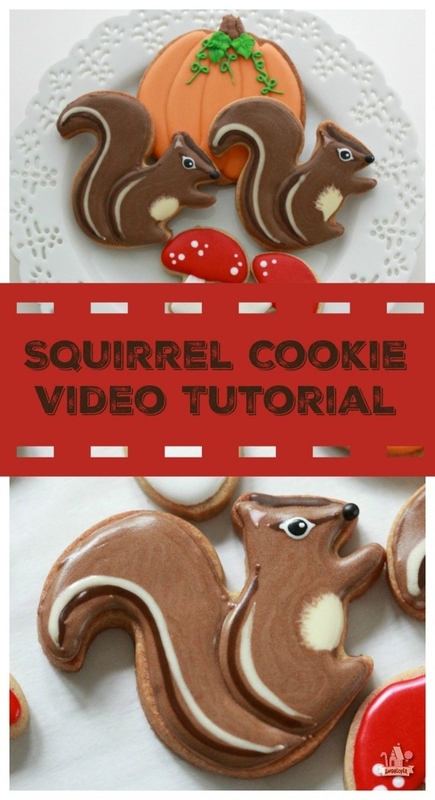 The link to the cutter is under the title, “Cookie Recipe”. I’m glad you like these and I hope you have fun making them too! Thank you! 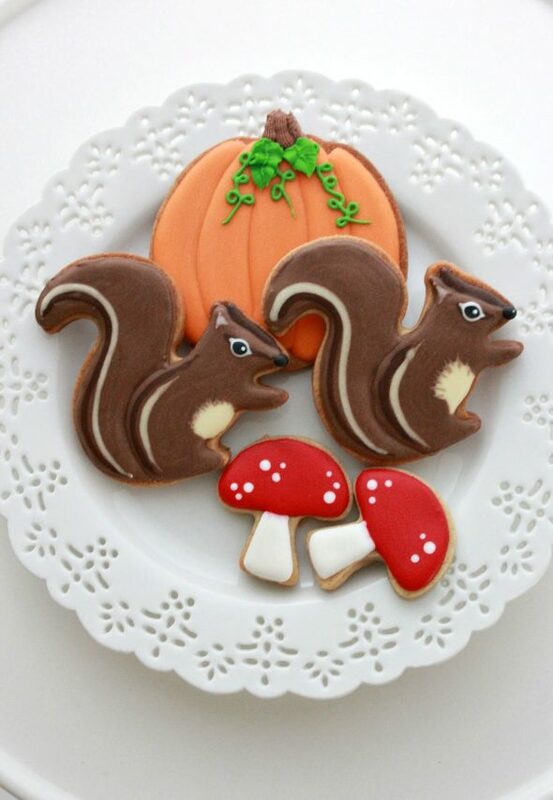 I wanted to do a squirrel and these are terrific!